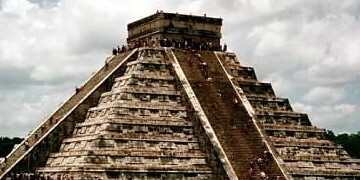 Egypt and Rome were among the earliest human civilizations and so were the Maya. The Mayans can be considered as one of the earliest developed human civilization because they were noted for the fully developed written language of the pre-Columbian Americas, meaning, before Columbus even discovered America. It is a Mesoamerican civilization and it was discovered that the Mayans were well-known for their art, architecture, mathematical and astronomical systems. So that one can fully imagine what a Mayan civilization looks like, think of it as today’s New York City or London, England. There are many things that people find fascinating about Maya and the Mayans. Among them is Mayan sculpture. Most of the sculptures that were found are made of stone. One can see the main sculptural style of the Mayans in Izapa, a large settlement on the Pacific coast where one can find a lot of stelas and frog-shaped altars. These stelas, often show mythological and narrative subjects and it seemed that most of these subjects can be in relation to the Twin myth of Popol Vuh which is translated as “Book of the Community”, “Book of Counsel”, or it can also be translated as “Book of the People”. It can be somewhat likened to The Bible of the Christians. Stelas, by the way, are large, elongated stone slabs that are all covered with carvings and show no signs of borders, meaning, a stone slab can be covered with carvings and inscriptions. Most of these sculptures of the Mayans depict the rulers of the cities they were located in and were disguised as gods. Most of the notable stelas that were found were from Copan and Quirigua. These sculptures especially those found in Quirigua were the ones that really amazed anthropologists because of the intricateness of details. Another type of Mayan sculpture that was found was called as “lintels”. These lintels spanned doorways, panels and tables and can also be seen in the sides of platforms and piers of buildings. It almost seems that Mayans were very fond of sculptures as they knew that they can be preserved for a long, long time. Ironically, no significant lintel or stelae have been preserved. Those that were found were either partially or completely destroyed. However, the irony to all of this is that the Mayans have finally embraced the Roman Catholicism that was introduced to them by the Spaniards. (Or, were they forced to convert under penalty of death?) Up to this day, the modern Mayan people have combined Roman Catholicism with their ancient religious beliefs just to appease and they would also please their vengeful gods lest they will be praying to survive another end-of-the-world prediction. Today, the modern Maya is scattered all throughout southern Mexican States and the Central American countries of Guatemala, Belize and some portions of Honduras and El Salvador. They still practice their old religion but with a little hint of what the Spaniards have taught them long ago. The fact of the matter is, they still embrace the cultures and traditions of their ancestors even today and even though their once-great cities are nothing but ruins and some of their traditions have long been gone, they are still alive and well in these places and some of their bits of culture are even adapted by the modern world through literature and even body art such as tattoos.